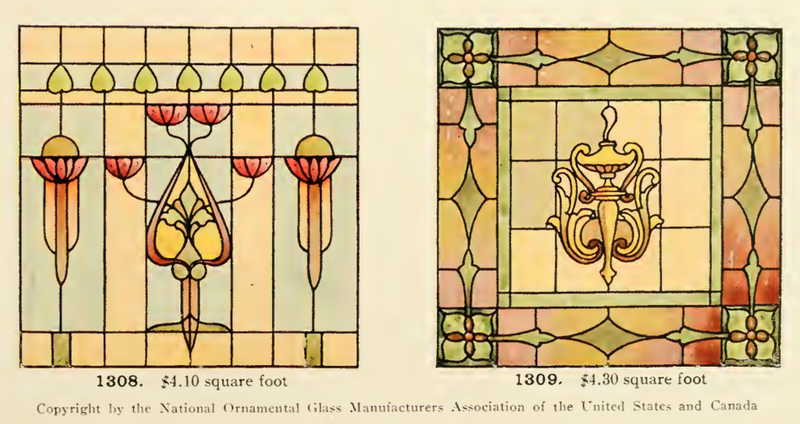 I found the most amazing art glass catalog recently. 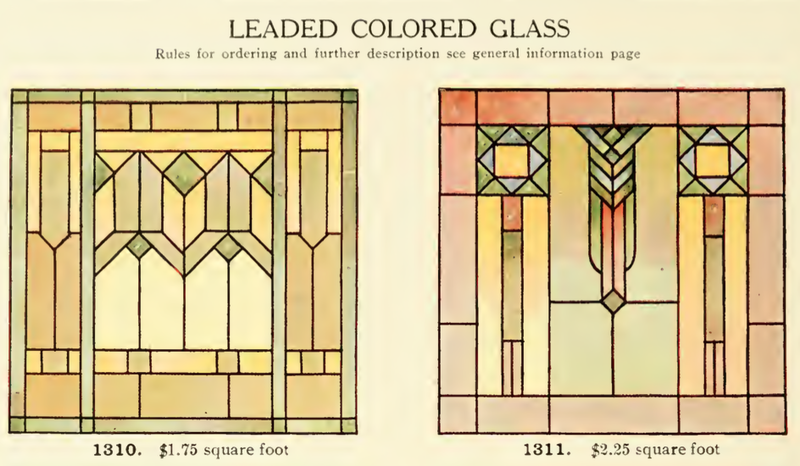 There are so many fantastic color pictures I cannot include them all here. 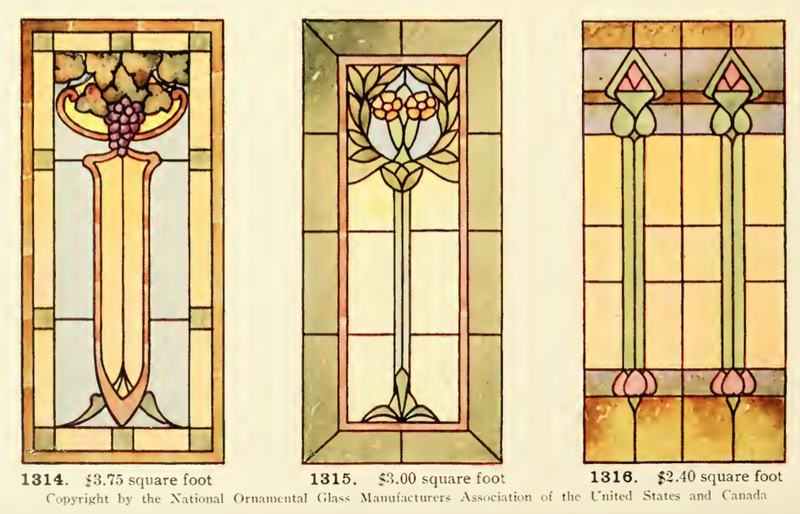 It is the International Art Glass Catalogue by National Ornamental Glass Manufacturers Association of the United States and Canada. 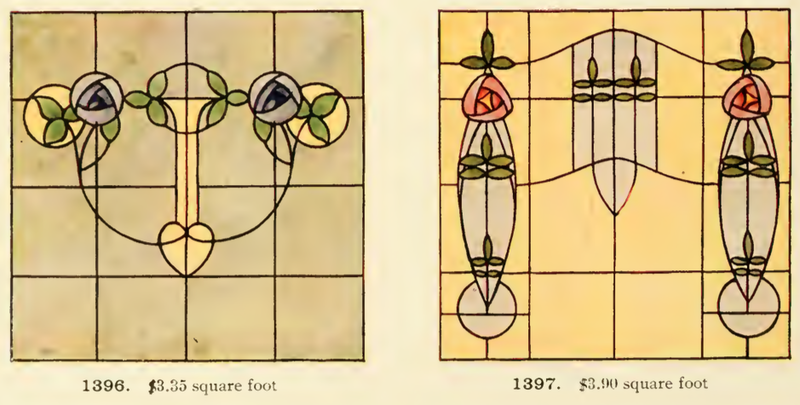 It was published in 1914. 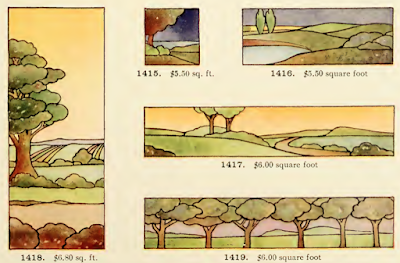 These are just the color pictures I liked. 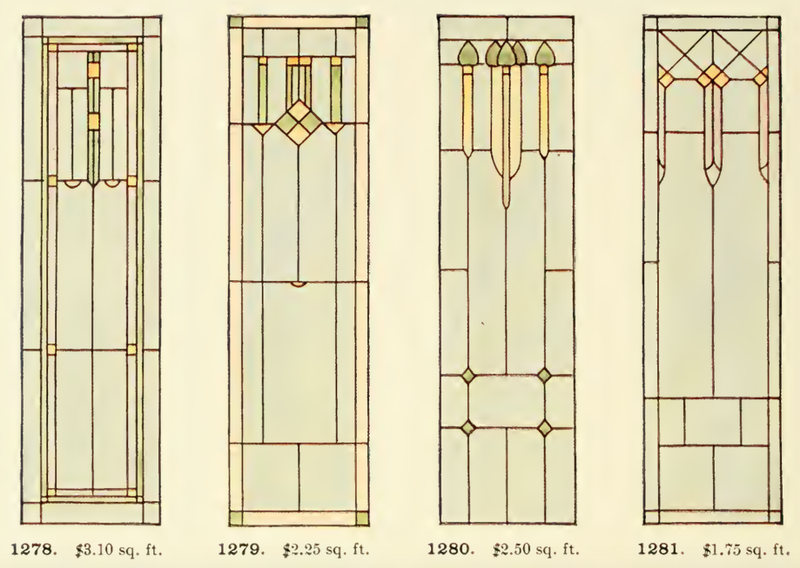 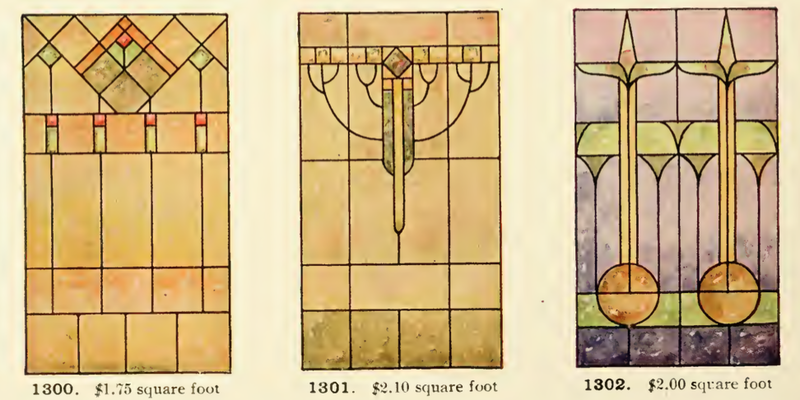 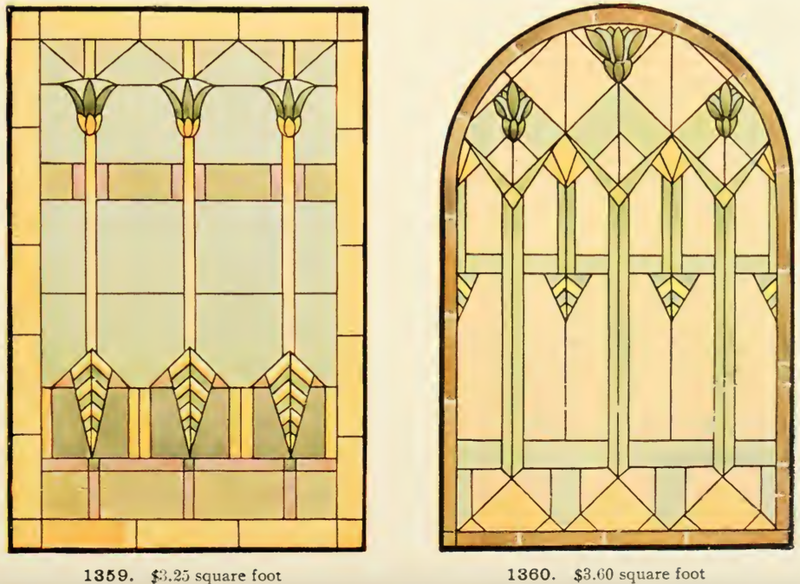 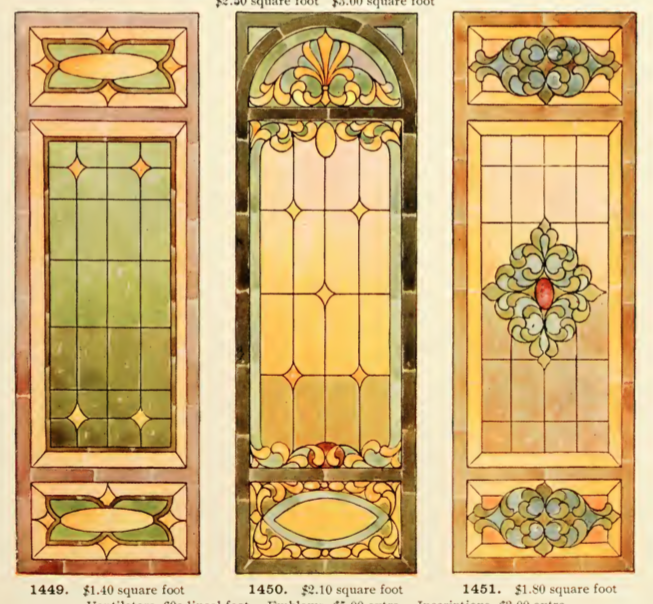 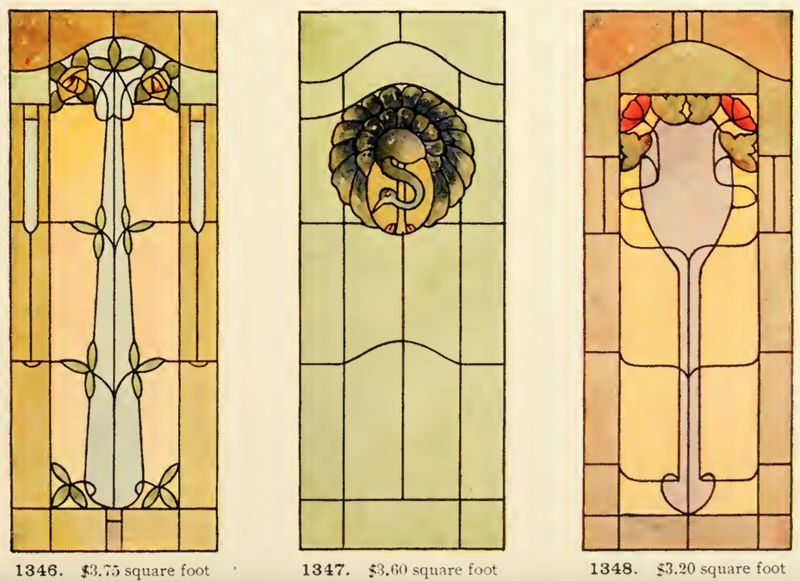 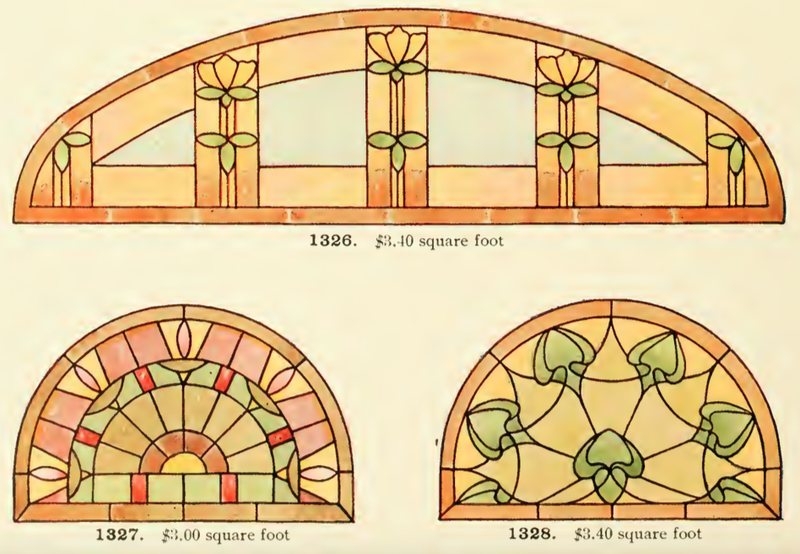 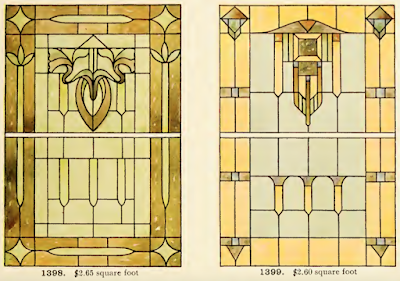 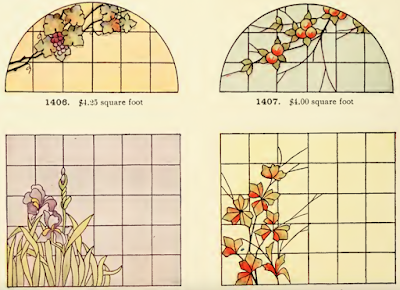 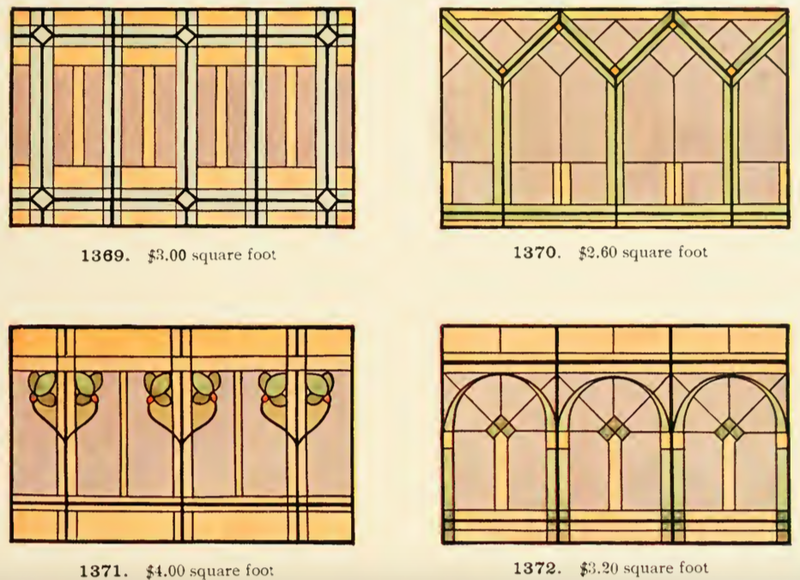 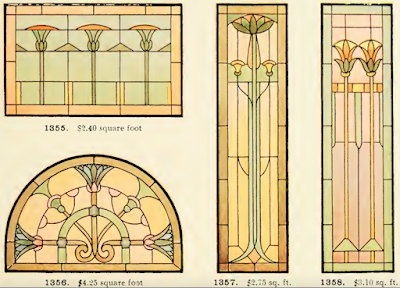 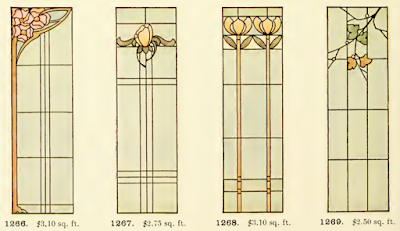 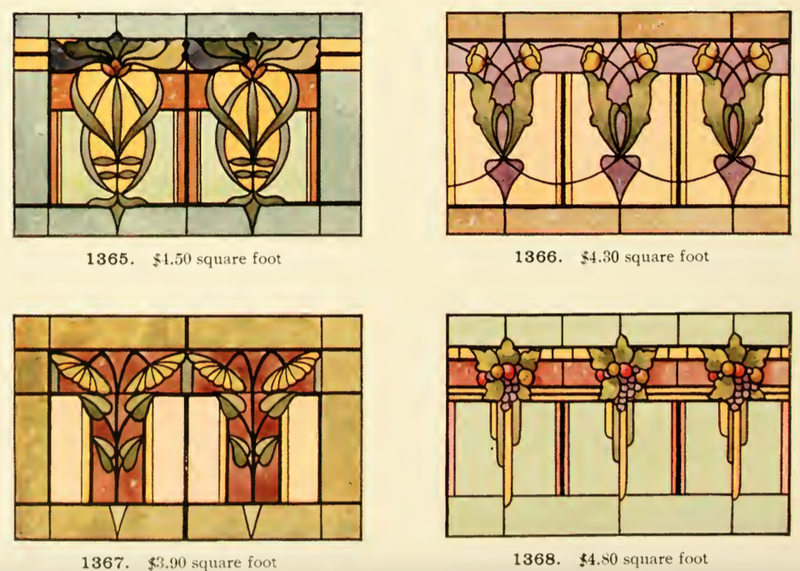 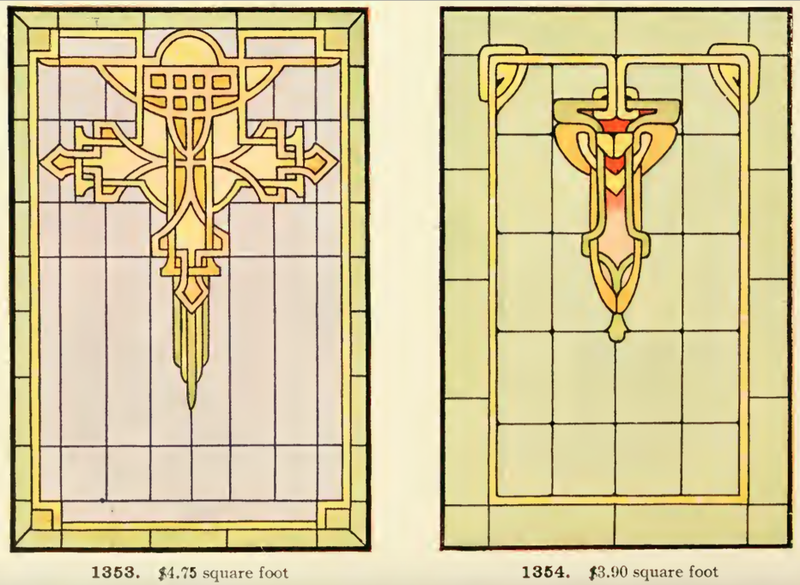 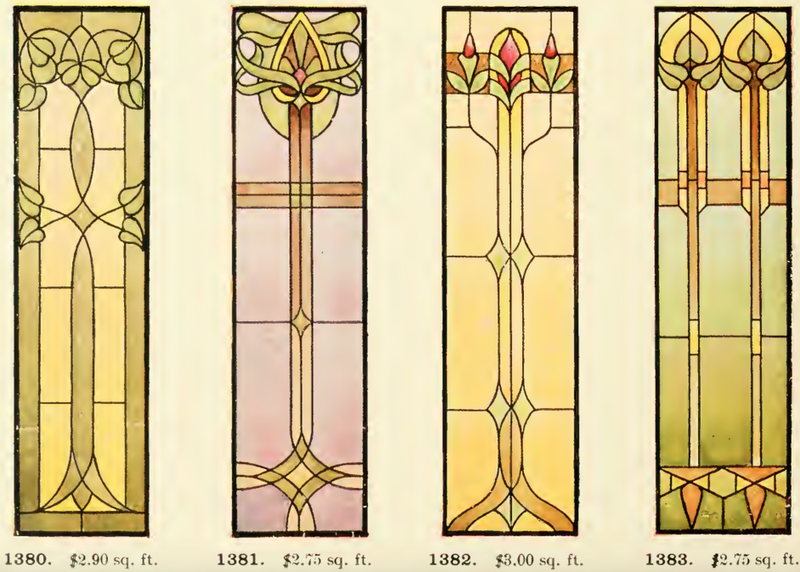 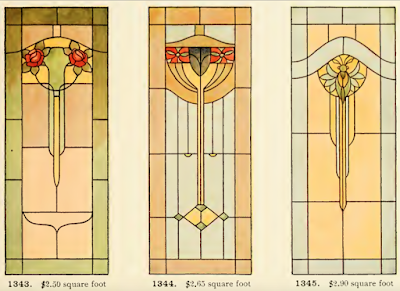 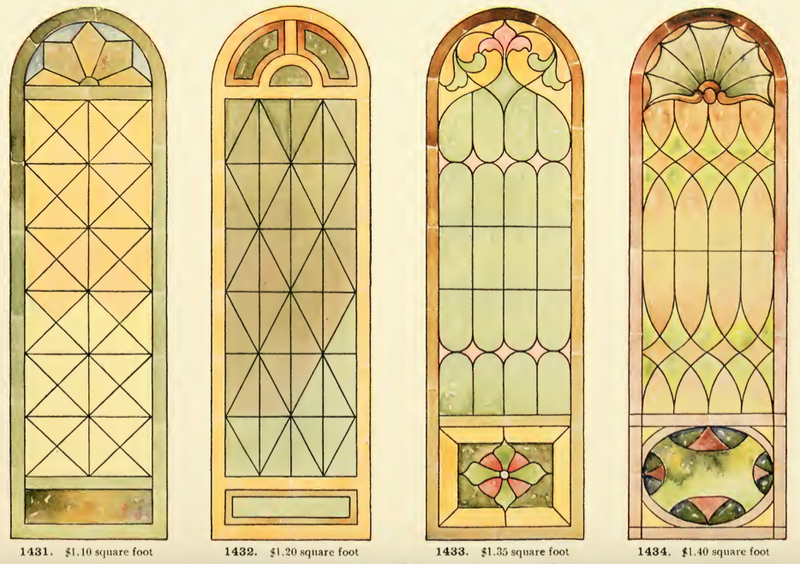 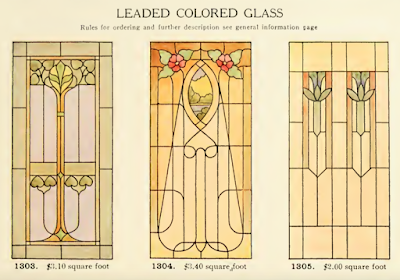 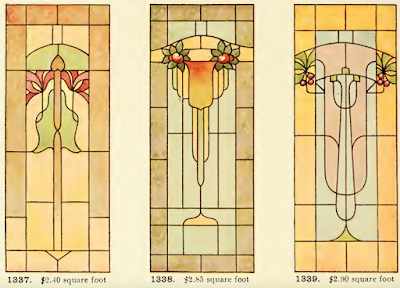 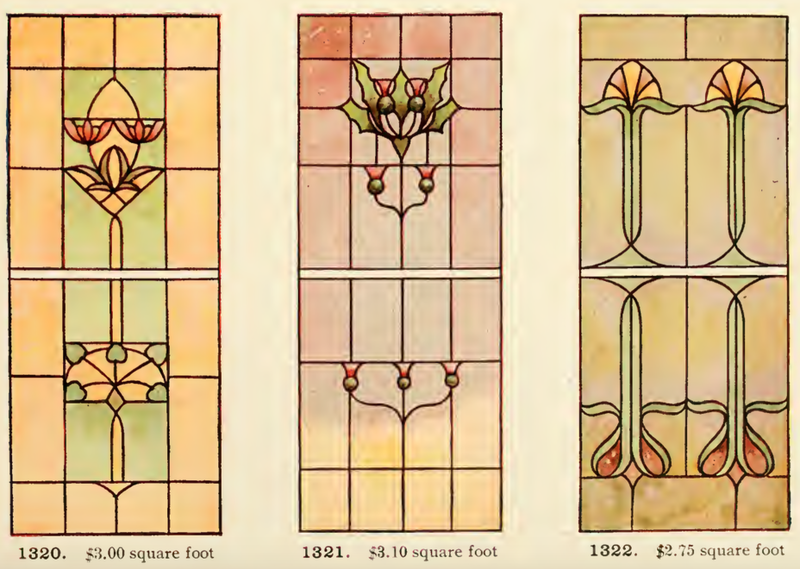 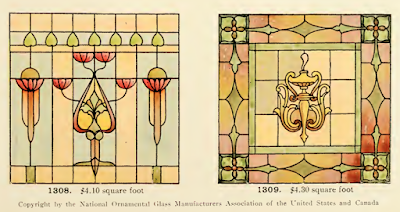 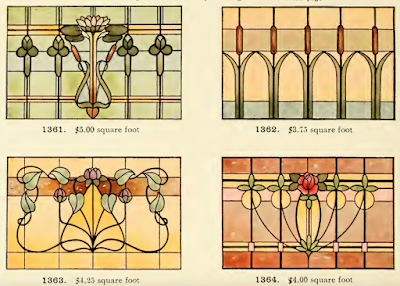 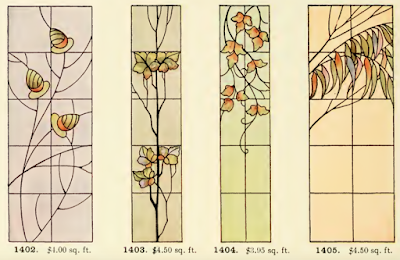 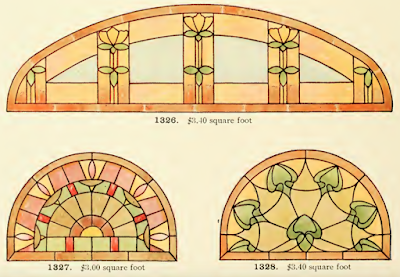 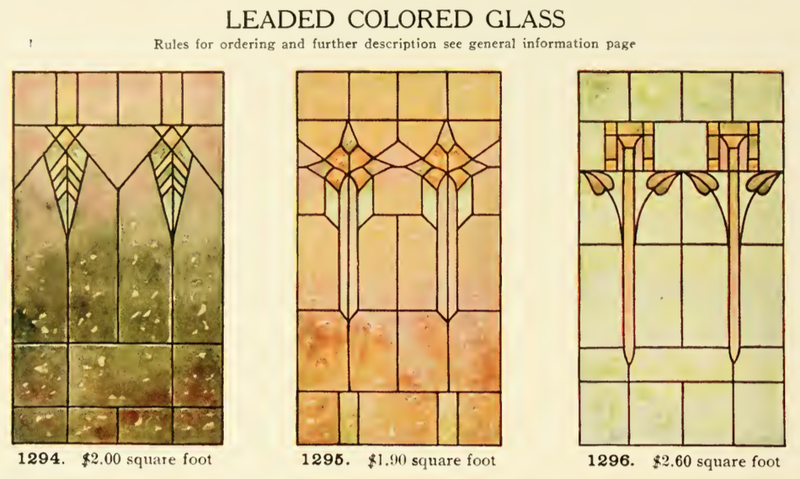 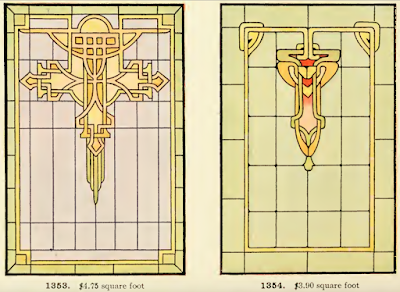 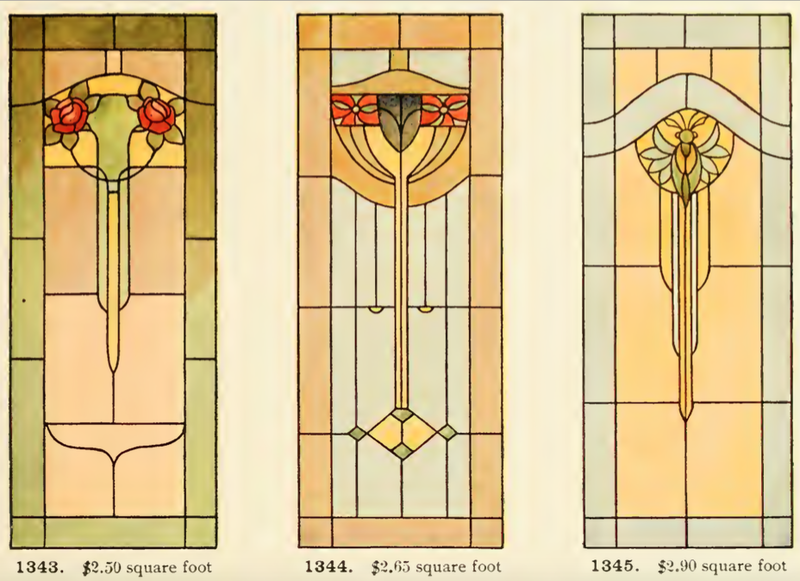 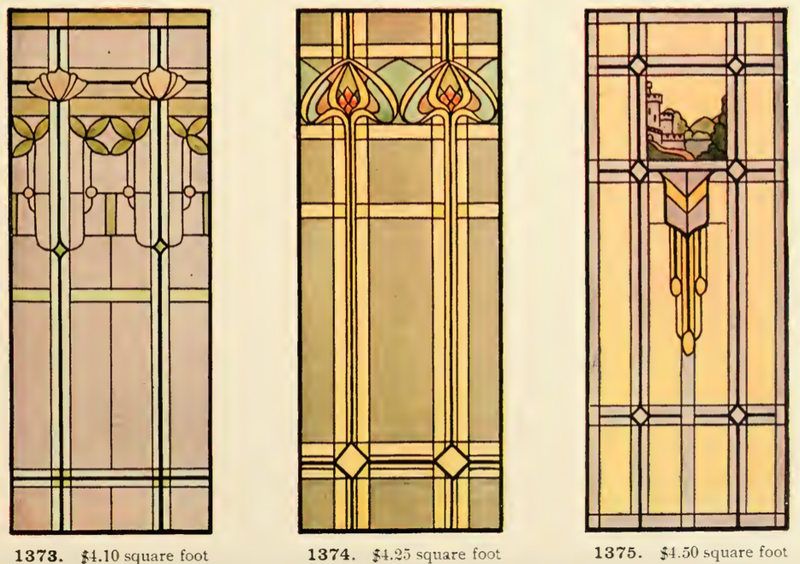 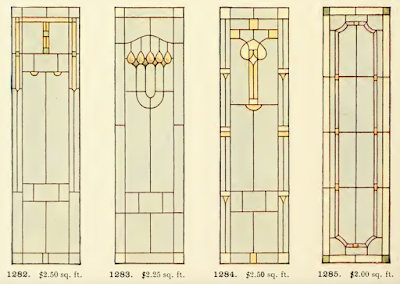 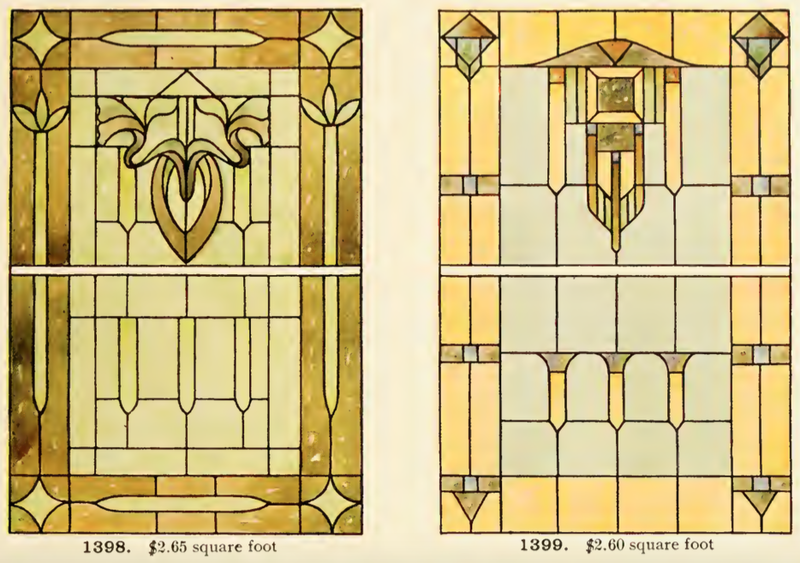 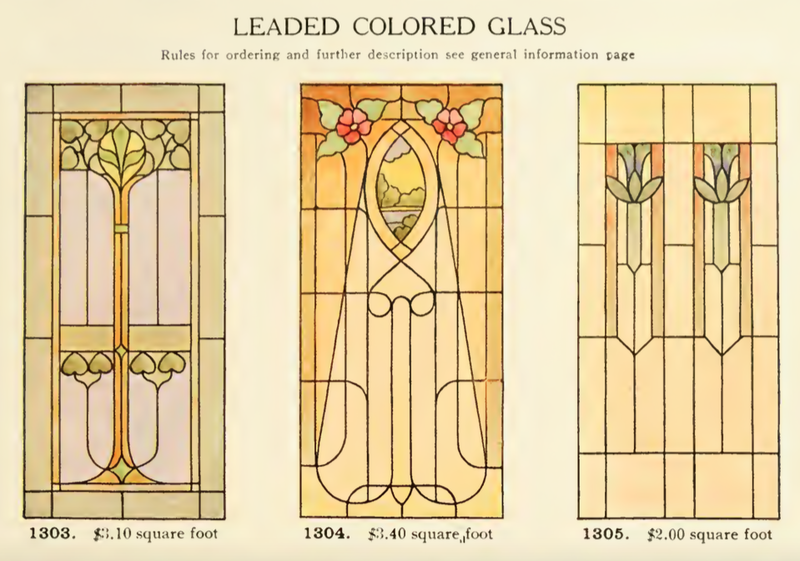 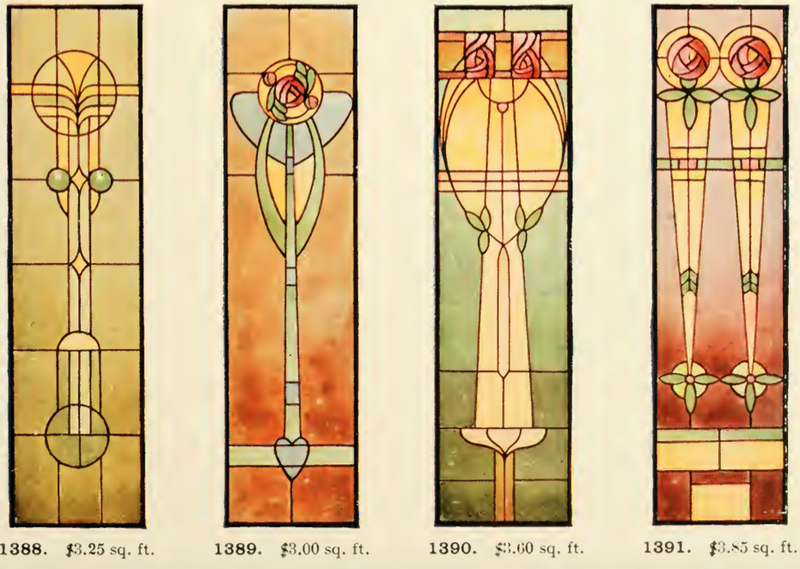 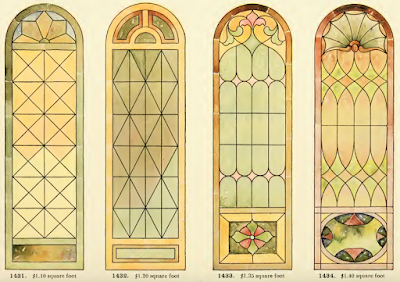 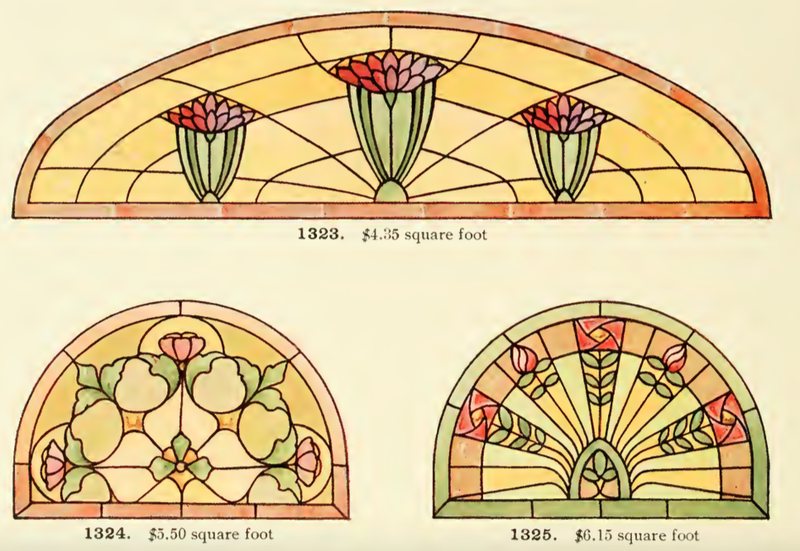 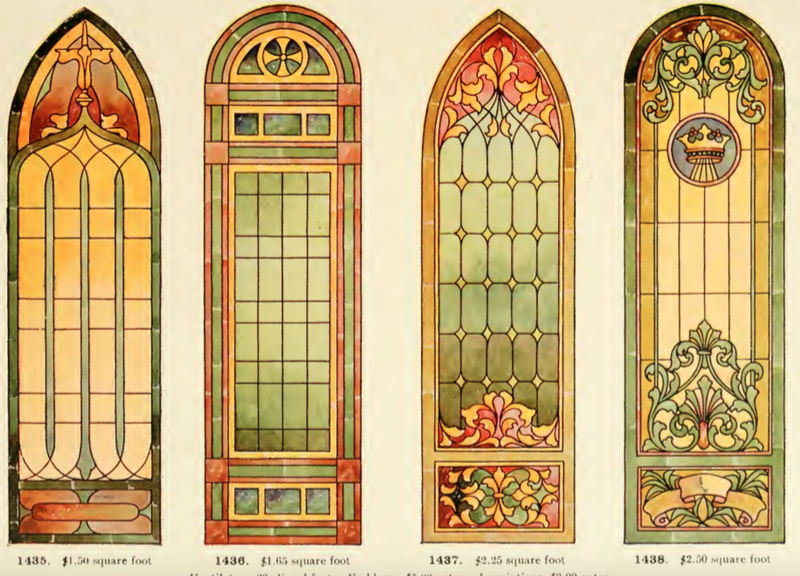 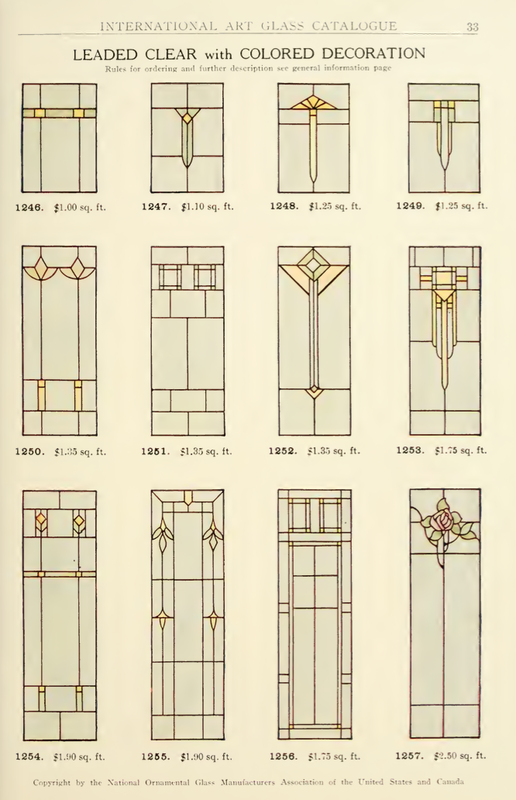 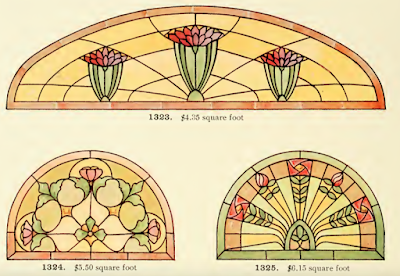 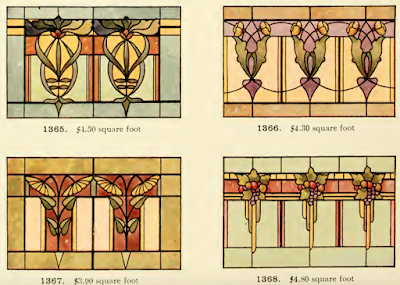 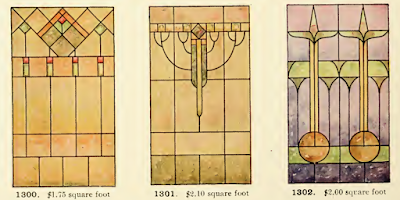 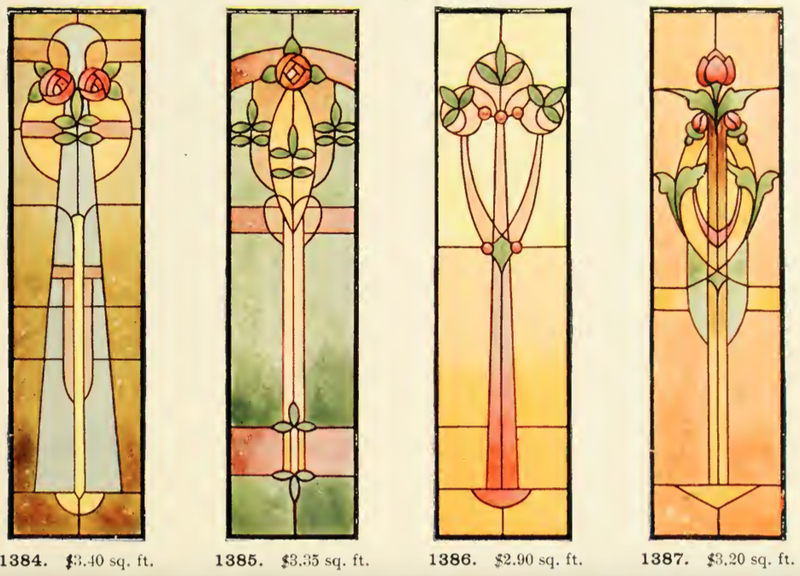 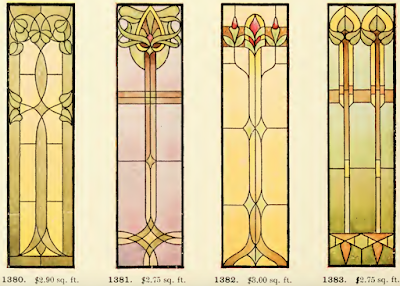 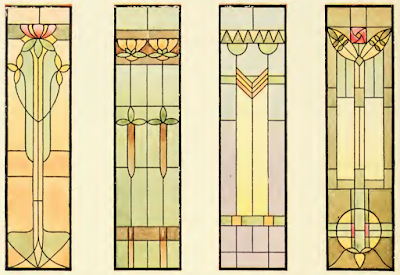 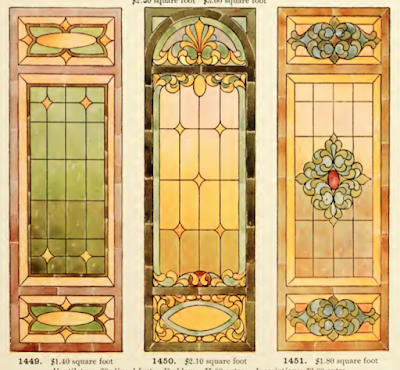 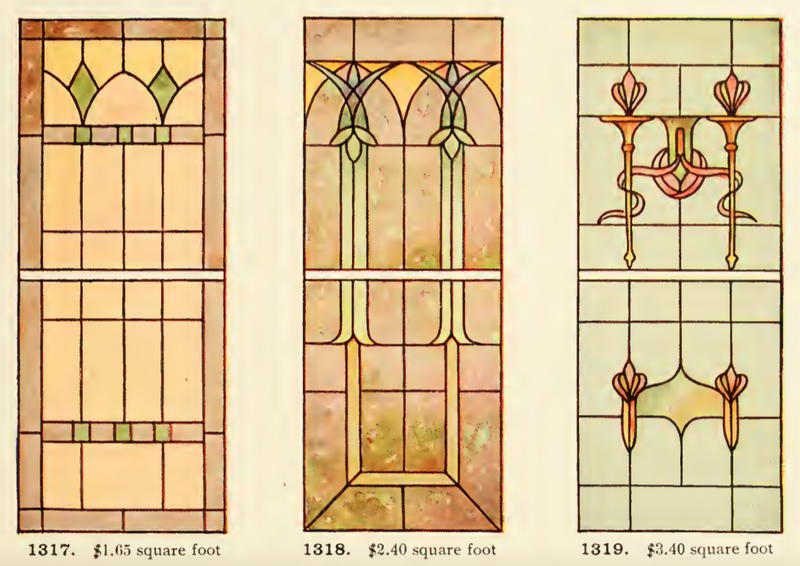 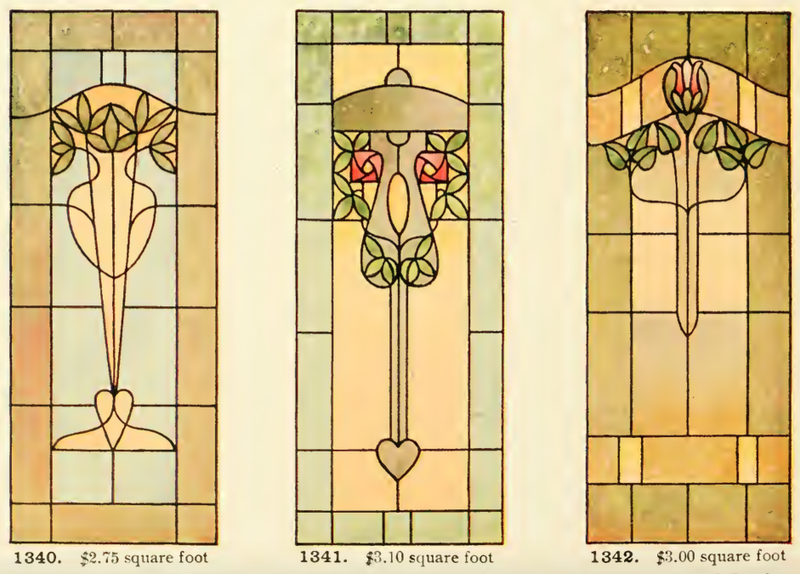 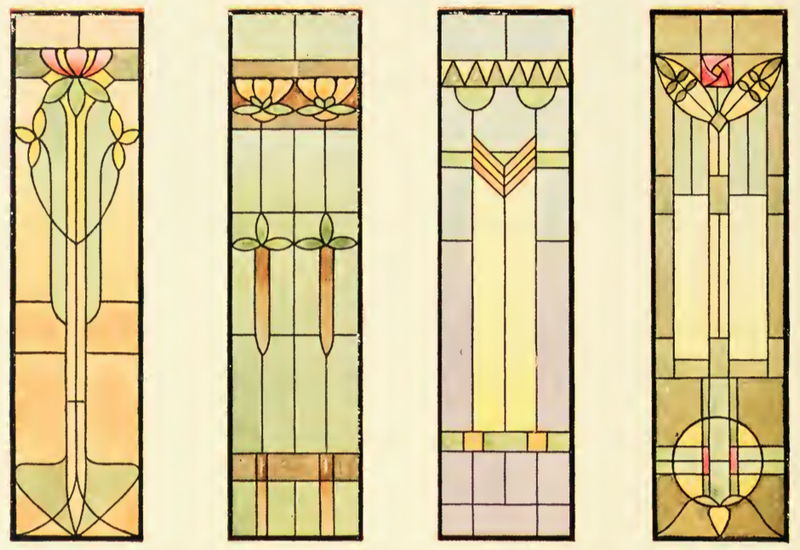 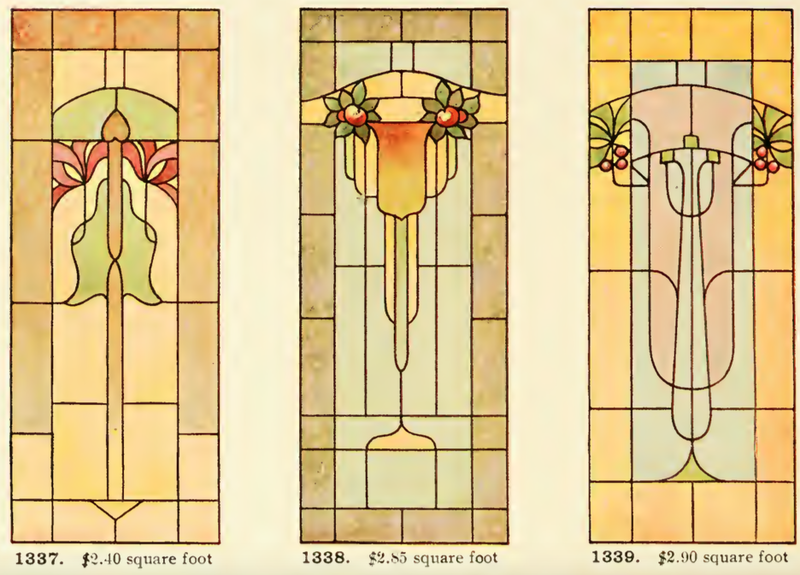 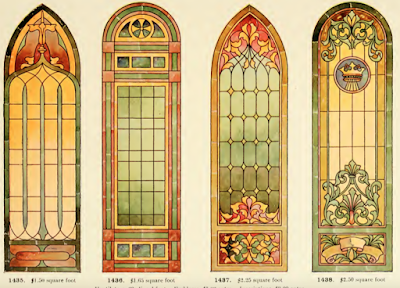 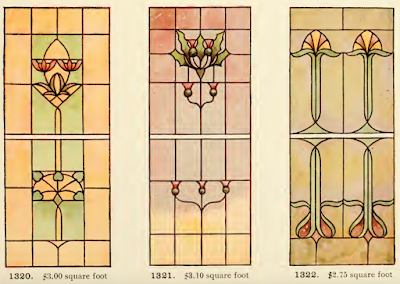 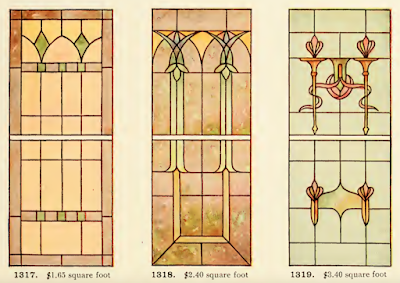 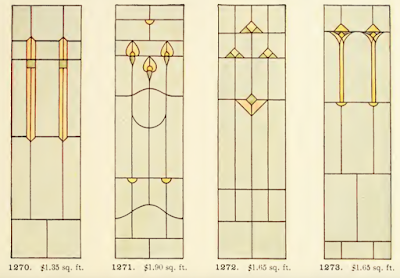 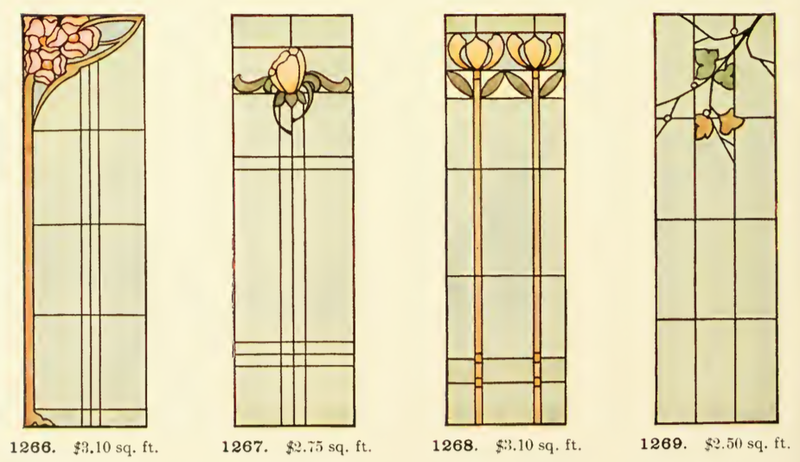 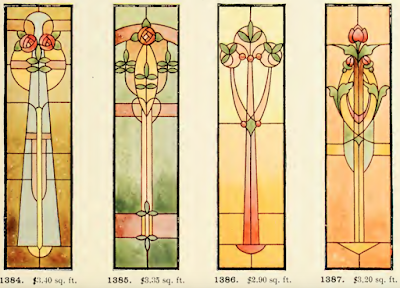 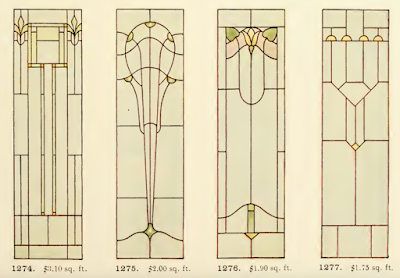 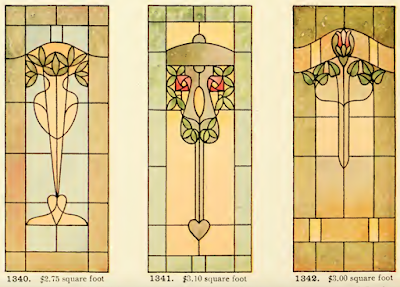 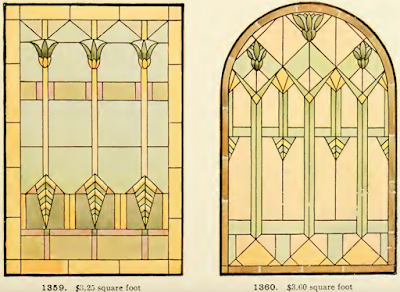 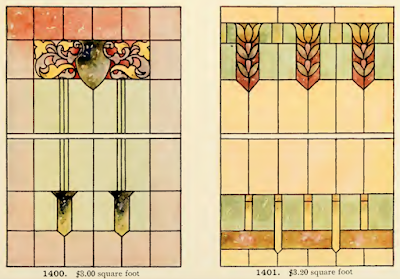 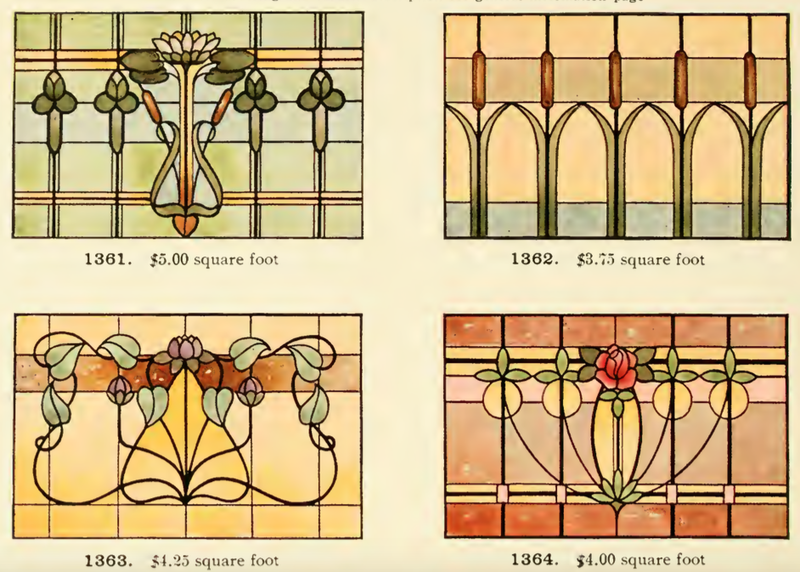 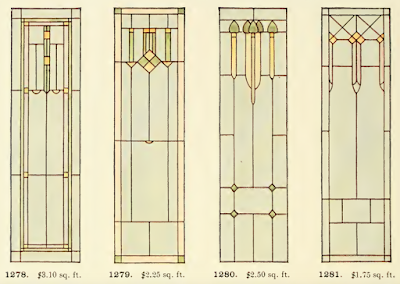 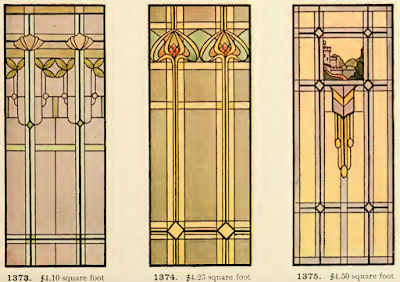 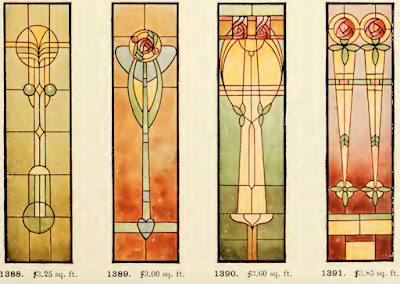 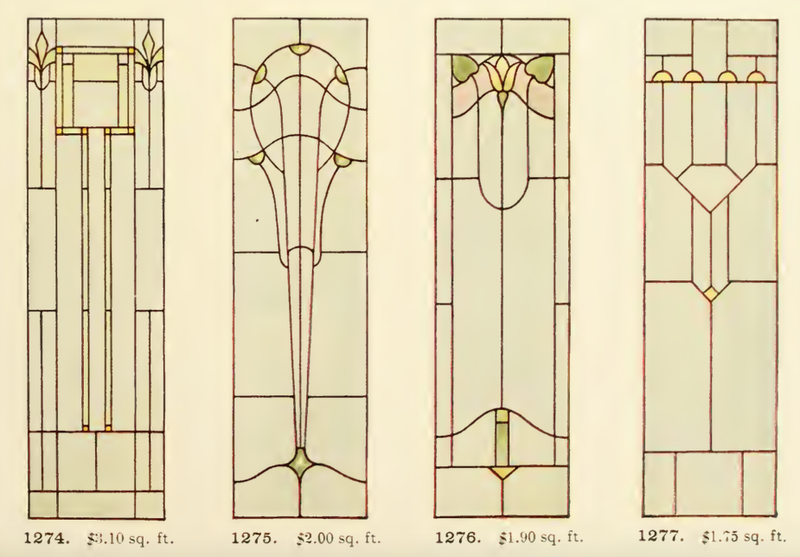 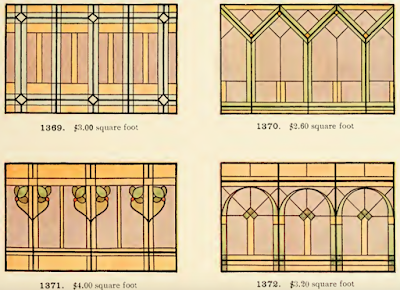 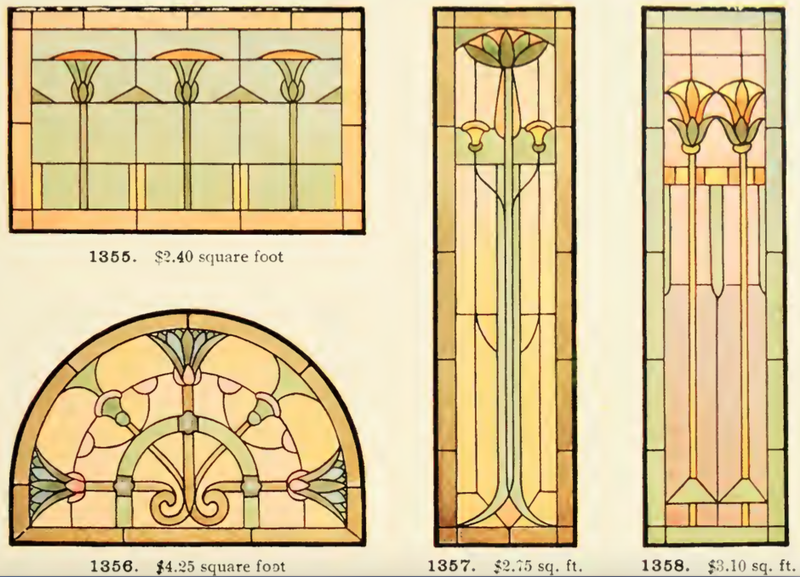 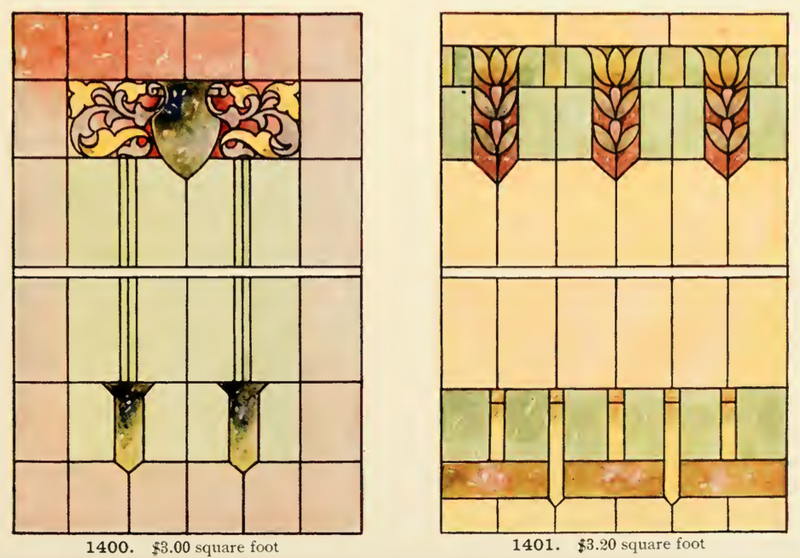 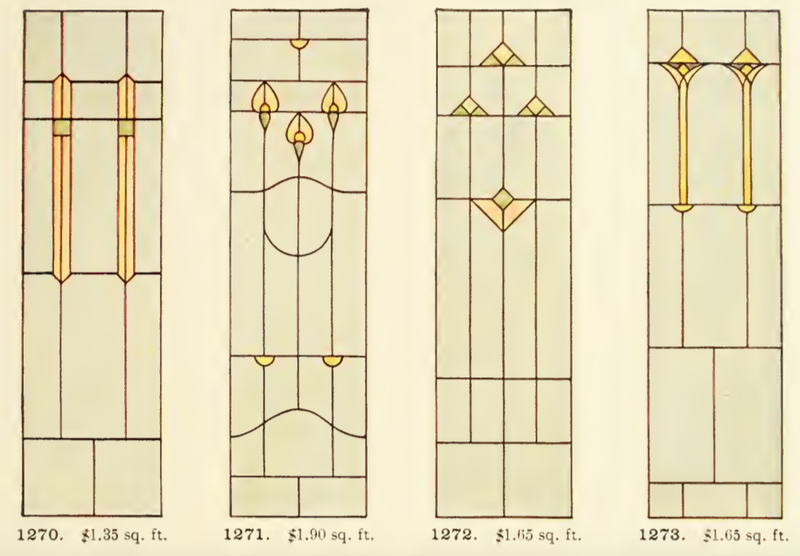 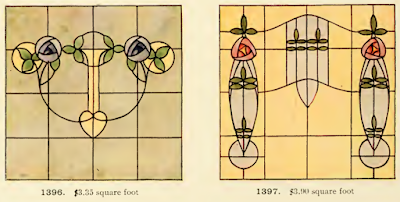 There was also lots of clear leaded glass and beveled glass designs I am not including. 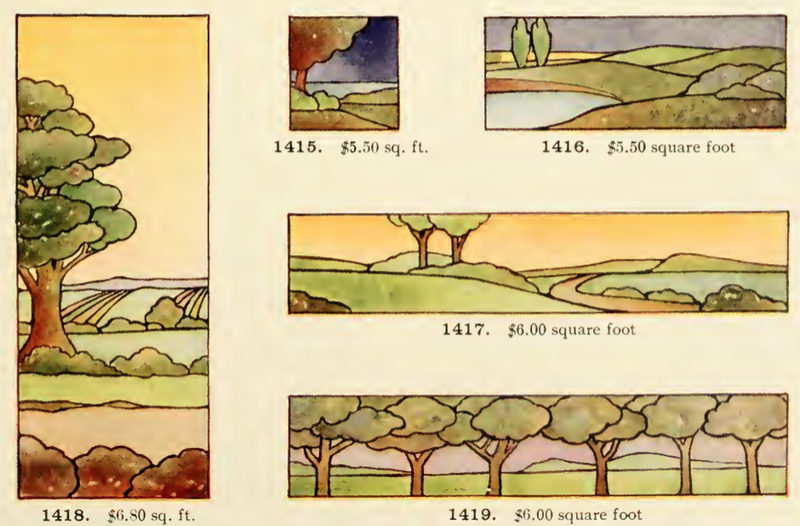 1419 is lovely. 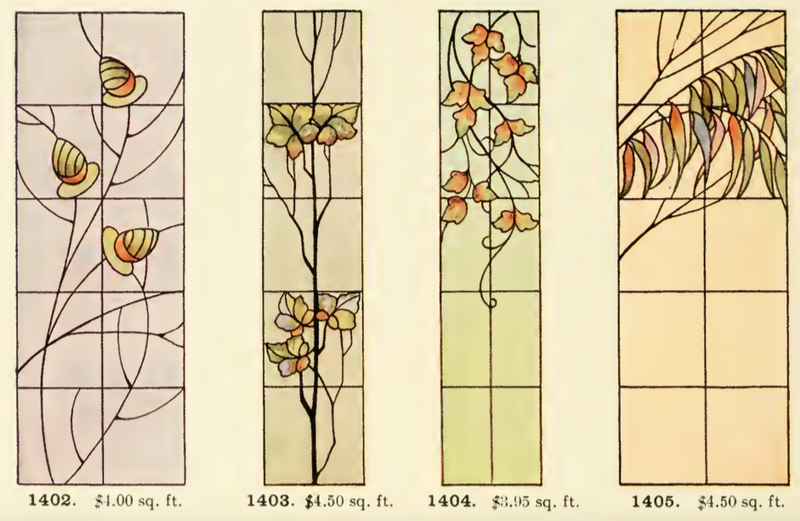 Would make a great wall border, too. 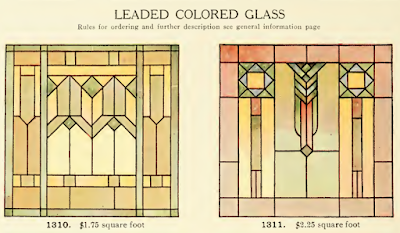 I was pretty excited to find this many color designs from period. 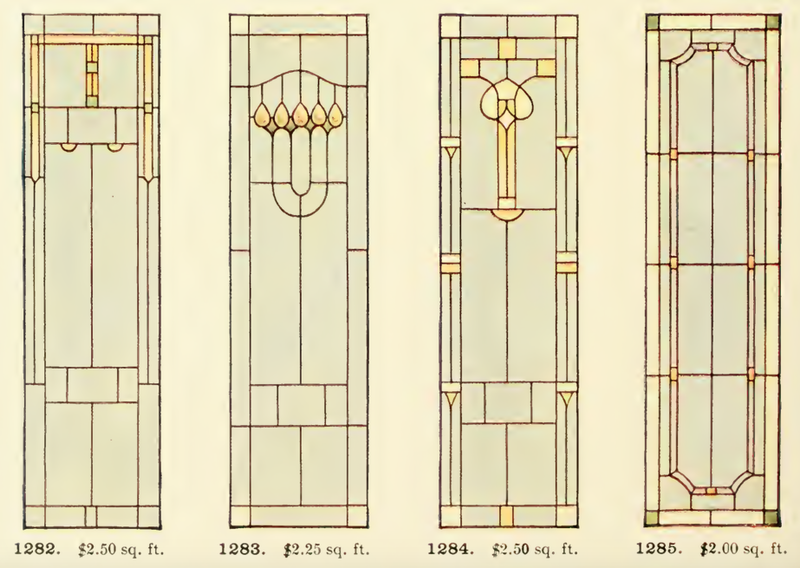 I'm even thinking about changing the plan for the front door now.